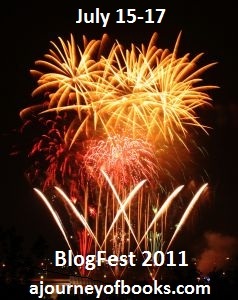 Reader Girls Blog: Blogfest 2011 is here! It's time for BlogFest 2011. Hosted by A Journey of Books, this fest lets the bloggers give back to the readers. Reader Girls is giving away two $10 gift certificates to Amazon (or the Book Depository if the winner is international, please check to see if they mail to your area before entering). All we ask is to be a follower and one entry per person. The Fest will end on midnight Sunday, July 15th. Hi, new follower here, found you through the hop. Have a great weekend! Thanks for the giveaway, and for making it international too, yay!